Take a break from the hustle and bustle from the cities of Iceland and go on an adventure to the country's South Coast to conquer nature. 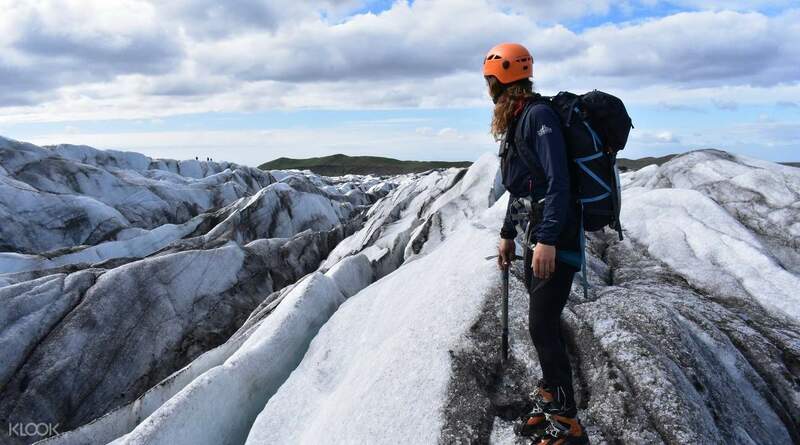 In this activity, you'll venture into the picturesque expanse of the gorgeous and iconic Vatnajökull National Park in Öræfi, Iceland. Once you arrive at the National Park's visitor center, you'll meet up with a certified English-speaking glacier hiking guide, who will provide you with top grade glacier hiking equipment and will train you how to use them properly. Once you're done with the training, you'll go take a 15-minute brisk walking exercise around the visitor center to get your blood and adrenaline pumping. After that, you'll begin your hike up the Falljökull glacier and spend 3 and a half hours traversing its cold climate and icy pathways. 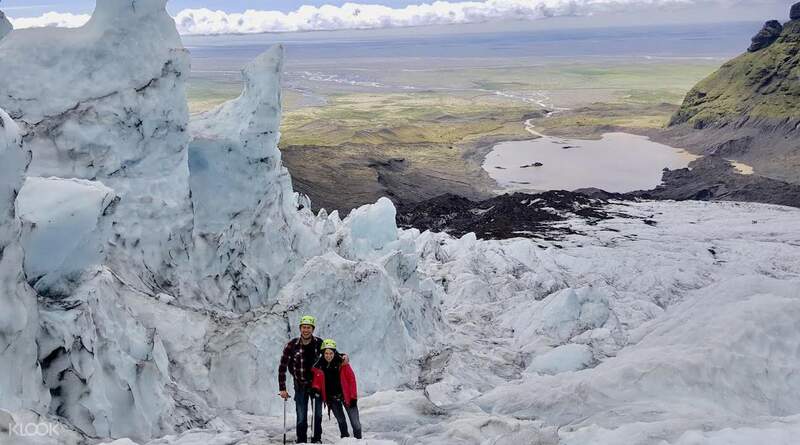 You'll have the opportunity to get panoramic views of the National Park from breathtaking vantage points, and also get the chance to see the massive icefall, where you can watch huge chunks of ice crash down from the glacier and into the ocean. This is a must for nature lovers. 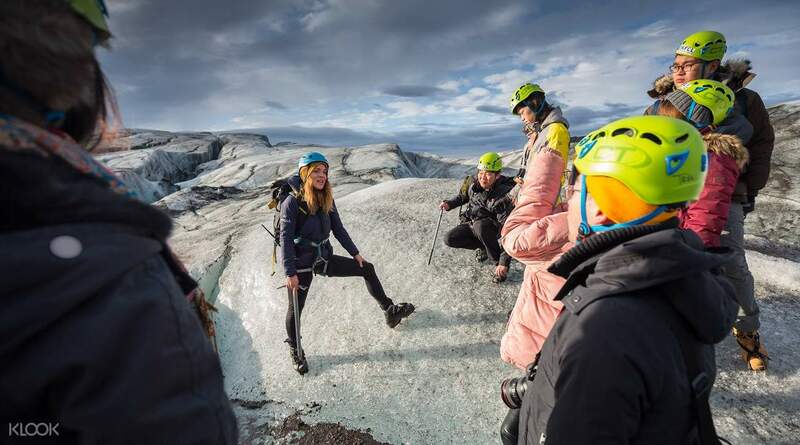 It's also said that the glacier is melting due to climate change, and that it's possible that it along with the country's other glaciers will become extinct one day, so all the more reason to book this activity while the glacier is still alive and kicking. The glacier is breathtaking and the guide was superb. He tried to see different interesting spots in the glacier for us to see the different phenomenas and explained a bit of history at the same time that he let us enjoy the hike. I recommend this experience, but take into account that it will be tiring if you are not used to exercise! The glacier is breathtaking and the guide was superb. He tried to see different interesting spots in the glacier for us to see the different phenomenas and explained a bit of history at the same time that he let us enjoy the hike. I recommend this experience, but take into account that it will be tiring if you are not used to exercise!